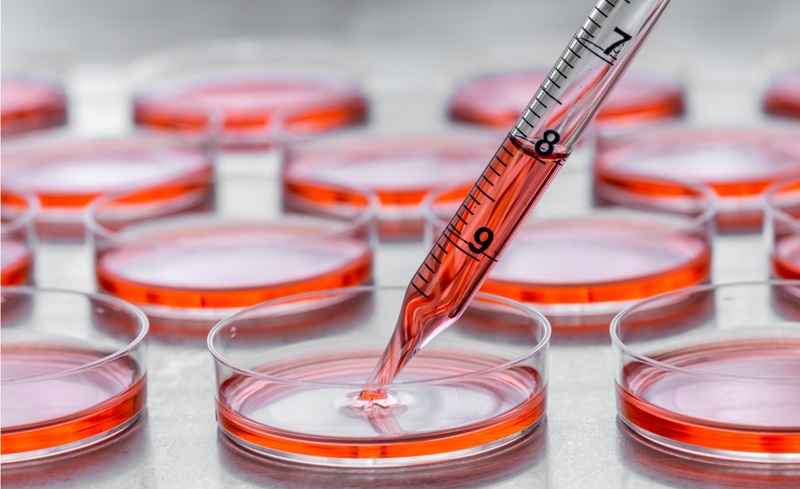 The Detachin cell detachment solution from AMS Bio is a high-performance alternative to Trypsin/EDTA for detaching adherent cells from in vitro growth vessels. Detachin provides rapid, gentle, and effective detachment of a wide variety of adherent cells, including primary cells, from all commercially available tissue culture plasticware. Proven to provide a consistent, safe, and efficient method for cell detachment and dissociation, Detachin contains protease and collagenase activities in an isotonic, phosphate buffer solution with EDTA. It has been tested successfully on many different primary cells and cell lines, including: bone marrow cells, stem cells, fibroblasts, hepatocytes, mouse germ cells, keratinocytes, macrophages, chick embryo cells, neuronal cells, vascular endothelial cells, A-375, BHK, CHO, COS, D54, HEK293, HeLa, L-929, M-24, MG-63, MRC-5, NIH-3T3, NT-2 cells, U-251, Vero, Sf9 insect cells, and many others. Not only does Detachin offer improved cell viability compared to Trypsin, it also produces no mammalian or bacterial byproducts meaning there is no need to wash the detached cells. Offered in a range of convenient formats including 100 mL, 10 x 100 mL, and 6-PAC (6 x 50 mL) sizes and stable at 4C for 2 months, Detachin provides an economic solution to labs regularly tasked with cell detachment protocols.